Earlier this year, Apple introduced a new Live Tune-In feature for Siri, which allows the personal assistant to go directly to a live channel in a supported app. As of today, Live Tune-In has gained support for ABC News, letting Siri open up live news broadcasts when commanded to do so. Live Tune-In also works with the following apps: CBS, CBS News, CNN Go, Cooking Channel, Disney Channel, Disney Jr., Disney XD, DIY, ESPN, Food Network, FXNOW, HGTC, and Travel Channel. Live Tune-In is currently only available in the United States. It can be accessed by asking Siri to "Watch ESPN live" or "Watch ABC News live." 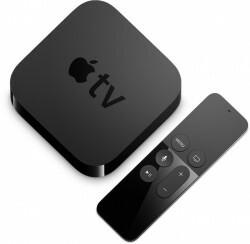 Live Tune-In Feature is available for all customers who have a fourth-generation Apple TV. In most cases, it does require a cable subscription and authentication through a cable provider. None of these things mean anything to me Apple! You have to find a way to convince content providers to provide their material without a cable subscription. I'll gladly pay for content a la carte or in a bundled deal, but I will not give money to our filthy cable companies. I grew tired of their crap a long time ago. I guess I'm just stubborn (or dense), but the whole "requires a cable subscription" always irritates me when I hear it. That totally flies in the face of why I got an Apple TV in late 2007, as I have been a cable-cutter for over 13 years now. think the point the OP was making was what value does Apple TV bring to the table? It's just another cable box. I have a reason why this type of set up using the ATV with cable is good. The ATV's UI is so much better than the cable companies. The cable companies' STBs are large, slow, buggy, and have outdated UI. Plus, many companies charge for HD. If you have a few HD STBs that you are renting, the costs add up quick. In a years time, you could buy a couple ATVs. I pay for a cable tv sub. It only costs a little more than internet alone, and it includes Showtime for 12 months. I do not use Comcast's crappy STB. It has never been hooked up. It is sitting in the box that it was shipped to my house and I have never taken it out. It was the free one that came with my sub, so there is no monthly fees for it. I use ATVs all over my home. If there is a station that I am paying for, but it not available on my ATVs I do not watch it. I just don't understand the point of this if it requires a cable or satellite subscription which I already have. Why would I watch something on the Apple TV when I can get the same content on my DIRECTV box? Why would you watch something on the DIRECTV box if you can get the same content on an Apple TV?